Ronnie O’Sullivan lost to Elliot Slessor for the second time this season as he crashed out of the Fuhua Group China Open with a 6-2 defeat. 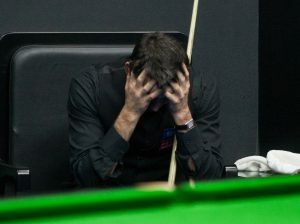 Despite making the 14th maximum break of his career in the fifth frame, world number two O’Sullivan lost to a player ranked 71 places below him. 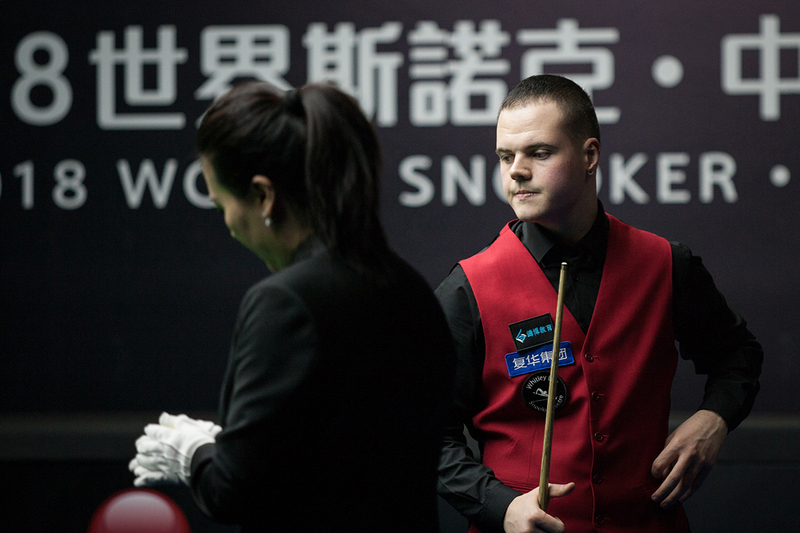 Slessor goes through to the last 32 in Beijing to face Tom Ford. O’Sullivan has had one of the best seasons of his career so far, winning five of the 11 ranking events he has contested. Other than John Higgins, Slessor is the only player to beat him twice in those events, having also knocked him out of the Northern Ireland Open in November. Today’s 147 will earn O’Sullivan £42,000 if the break is not matched this week, which would bring his tally of prize money this season to £845,500. With just the Betfred World Championship to come, he will need to reach the final at the Crucible to become the first player ever to earn £1 million in a single season. He trailed 4-0 today when he compiled the 147. Slessor then made it 5-1, and although O’Sullivan stole the seventh frame with a 35 clearance, he was soon heading for the exit door. Slessor’s break of 64 put him in charge of frame eight and he sealed victory after his opponent had gone in-off while attempting to play safe on the last red. Stephen Maguire lost 6-5 to Fergal O’Brien which means his hopes of an automatic place at the Crucible are gone. 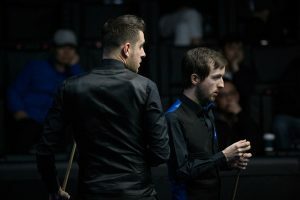 Maguire could have jumped into the top 16 by reaching the semi-finals in China, but defeat leaves him facing the qualifiers at the English Institute of Sport next week (click here for the latest on the race to the Crucible). Scotland’s Maguire came from 5-3 down to 5-5, only for O’Brien to win the decider with a run of 70. Liang Wenbo will also be heading to the qualifiers as he lost 6-5 to Welshman Duane Jones, who made a 75 in the deciding frame. China’s top player Ding Junhui came from 3-1 and 4-3 down to beat Craig Steadman 6-4. Ding fired breaks of 67, 72 and 90 in the last three frames. Newly-crowned WSF Champion Luo Honghao showed his potential in a 6-4 win over Anthony McGill, knocking in breaks of 100, 135 and 84. Shaun Murphy, runner-up at the recent Ladbrokes Players Championship, suffered a surprise 6-0 reverse against Chris Wakelin, who knocked in runs of 85, 54, 54, 58 and 56. World Champion Mark Selby came through a tough four-hour battle against Scott Donaldson, winning 6-4. Selby made a rare 16-red clearance in the second frame, taking a free ball as the extra red and going on to make a 141. He later trailed 3-2 but hit back to win four of the last five frames. Neil Robertson top scored with 105 in a 6-3 defeat of Robbie Williams while Kyren Wilson came from 3-0 down to beat Andrew Higginson 6-3 with a top break of 112. John Higgins saw off Martin O’Donnell 6-2 with a top run of 77 while Yan Bingtao came from 5-3 down to beat Kurt Maflin 6-5 thanks to breaks of 64, 81 and 76 in the last three frames.